I see two followers. Obviously a modder who wouldn't need the magic sword. The one with the glazed expression is obviously a dead thrall. 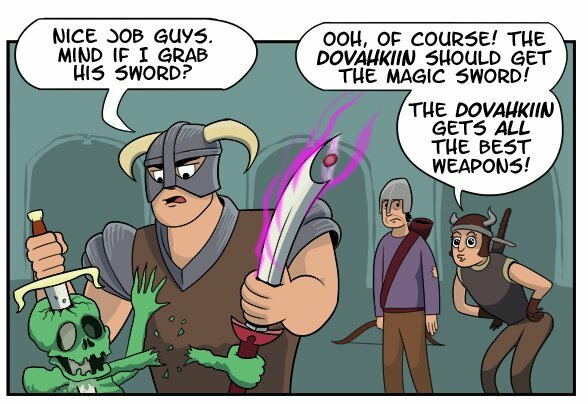 > Y Dovahkiin No Share?